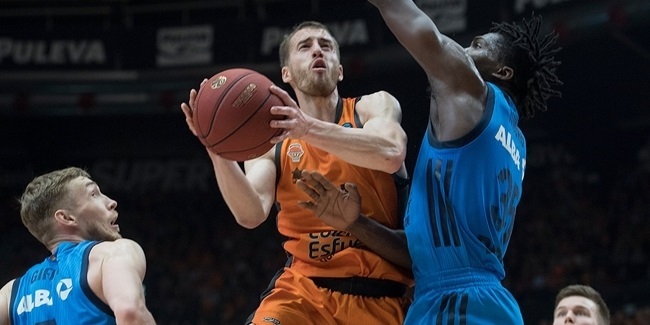 The quarterfinals round endde on Wednesday night with two games that saw both Spanish squades, Valencia Basket and Unicaja Malaga, advance to the semifinals where they will meet Hapoel Bank Yahav Jerusalem and Lokomotiv Kuban Krasnodar respectively. 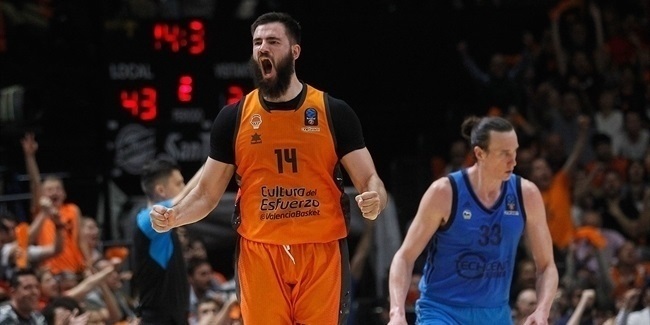 The hero of the night for Valencia was big man Bojan Dubljevic, who racked up a 26 performance index rating to become MVP of the week. Dubljevic netted 16 points, pulled 11 rebounds, doshed 2 assists and had 3 steals to lead his team in the decicive win against Khimki Moscow Region. Following him this week was Unicaja's Dejan Musli with a PIR of 22. 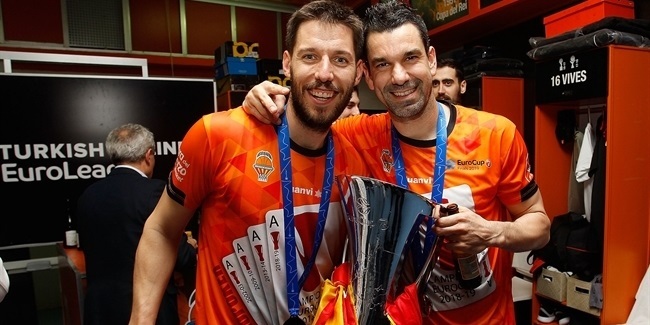 Musli scored 16 points, pulled 4 boards and drew 9 fouls to lead his team in a decisive road win that was worth a semifinals ticket. Completing the top individual performances of the week were Nemanja Nedovic of Unicaja and Luke Sikma of Valencia with PIR 21 each. Nedovic led the scorers of the week with his 21 points, the same amount as Khimki's Alexey Shved, who despite having ag reat series and being the top scorer of the season (22.1 ppg.) could not avoid his team's limination. He also leads the PIR rankings of the season (22.0 average) to make a strong case for the MVP of the season honors. Dubljevic was the player with the most rebounds with 11, and only Maxi Kleber of FC Bayern Munich also pulled boards in double digits with his 10. Joan Sastre of Valencia has a career-best 9 assists in this week's game, and he also led the steals rankings with 3, just as many as his teammate Dubljevic. Finally, Kleber completed a great season also in the blocks department leading all players this week with 3.